Through our two decades of experience, 3d Sign Factory, the sign company with more than 20 years experience, has fused new technologies with old materials and developed techniques to create some of the most stunning work in the sign industry. Our custom sandblasted signs are wholesale as we rely on you to provide your design and sales while we do the manufacturing. By providing a custom area within our website, retail sign companies can expand their product line by using our shop as their manufacturing facility. When it comes to the art of sandblasted sign making, we’ve got it covered! We can provide virtually any product imaginable that is being used to direct traffic, ensure safety, or brand your business. ATTENTION, and define a sense of taste that will make a lasting impression. Our sandblasted signage and sign accents are manufactured using a wide variety of materials such as wood, sign foam, HDU, PVC, glass, stone, tile, marble, brushed and mill finish metals, vinyl, MDO and MDF. Our services utilize the best suited material combinations for each project. This allows us to provide signage solutions that fit your budget and needs. ADD 3D OBJECTS TO BEAUTIFY YOUR SANDBLASTED SIGNS AND DEFINE YOUR BRAND! We are happy to offer sandblasted signs, decorative 3 Dimensional objects and accents. From now on you can beautify your sandblasted signs with a various selection of decorative elements. Such elements work perfectly for commercial signage and residential community signs. Good examples are legal services office custom signs, building number plaques, traffic management signs, community entry signs, church signs etc. Our wholesale signs are priced primarily by size, NOT complexity. We offer any sign shape you like, unlimited text and unlimited graphics! We offer quantity discounts for larger orders. GIVE US A CALL FOR A QUANTITY DISCOUNT! 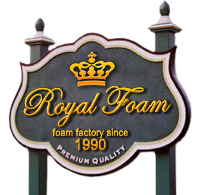 To discuss your order and provide you with a sandblasted signs quote, you need e-mail us at order@royalfoam.us, call us at 904-345-5400 or submit your artwork online. hand-drawn sketches to vectorized files that you email to us. The most efficient (and therefore most cost-effective) format is vectorized artwork, in an .eps or .ai format. Please ensure that all text is converted to outlines. If you are not able to convert text to outlines, check with us to see whether you’re using one of the hundreds of fonts we have on file. If vector art is not available, we can nearly always scan and digitize your logo for a minimal charge. If you don’t have an artwork, our designers will be happy to help you with a custom layout for your project. All of our products are shipped globally via Fed Ex, UPS, and all Interstate Motor Carriers, and are designed for easy end-user installation. WARRANTY – HDU 3d Sign Factory unfinished is warranted for 10 years, indoor or out, against deterioration, warping, and cracking. It is 100% waterproof, unaffected by temperature and will not rot or decompose. High Density Urethane material is preferable on most projects, and is a must on outdoor sign projects. ADVANTAGES – 3d Sign Factory will not warp, crack, or bow like solid wood when exposed to the elements. It is slightly lighter that wood, which might be a consideration for a suspended sign, and saves in shipping. HDU 3d Sign Factory can be seamlessly laminated together to create any size shape or form. DISADVANTAGES – HDU 3d Sign Factory is slightly flexible, which might cause problems on long, narrow signs. If a dimensional sign is going between posts, or in a situation where it might take abuse from wind or pedestrians, consider having us laminate a backing board for reinforcement. HDU 3d Sign Factory can be sandblasted with several different patterns. The most common two are wood grain and sandstone. At 3d Sign Factory, we do our best to make the process of designing and building your custom sandblasted signs and logo as easy, convenient, and enjoyable as possible. what type of custom sandblasted signs will meet your needs and budget. Once we have a clear idea of your needs, we’ll email you a written estimate describing the signs we will build for you and giving you the exact price for the signage project. All you need to do at this stage is sign and return the estimate and make a deposit (by mailing a check or card by phone). After this step is done, we can begin designing and building sandblasted signs for you. Whether you provide us finished artwork or we design the sandblasted signs for you, we always make sure that you review and approve the sign layouts before we begin construction. Once your signs have been manufactured, we schedule a delivery or you can pick them up at our office. 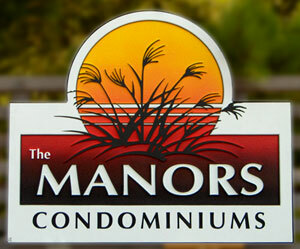 Custom Sandblasted sign and logo are one of the best solution for business and residential use. We are your one-stop 3D Advertising shop for all business, commercial, residential signage as well as Architectural accents. 3D Advertising is the first thing everyone sees when visiting your establishment. Insure you make the right first impression with one of our quality hand carved, dimensional, advertising products.